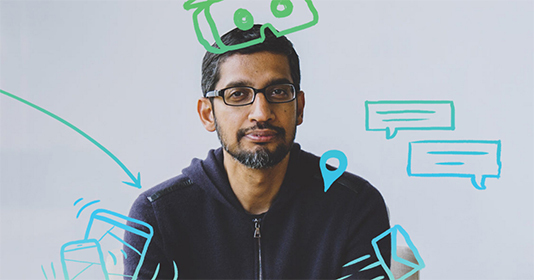 Google I/O this week has been a glimpse into Google under recently appointed SVP Sundar Pichai. This in-depth piece from The Verge covers developments in Android, their new Photos App, VR and more. If numbers and graphs are more your thing, this report from investment megahouse KPCB is for you. A lot of insight into trends to be gained here. A continuation of the Apps versus the web debate, Peter-Paul Koh argues that the web won’t ever beat native, and should stop trying. Jeremy Keith agrees and suggests that the webs weaknesses are actually strengths. It can be tempting to invest heavily in visual design up front, but Google Ventures make the case for investing in product design instead, with visual design coming later on. Stimulate the other side of your brain with this simple and geometric title sequence. Get a peek into the psychology, user testing and data that goes into a redesign of this scale. Pretty much what is says in the title but with GIFS to help with key points. The home for Design at Google gets an overhaul to include more written and video content, tutorials, in depth guidelines and new icons.